Valveless Design The valveless feature of the Mingrui design is its most significant feature. There are typically four check valves present in diaphragm, bellows, and traditional piston pumps. Even during normal operation, these will wear over time and not seal properly allowing backflow. As a result, accuracy drifts and minimally the pumps need recalibration. Eventually, the check valves need to be serviced. Ceramic Internals The Mingrui uses sapphire-hard ceramics for both the piston and mated liner. These components are dimensionally stable in that they will not change shape or dimension over time. Therefore, the pumping chamber remains stable for millions of dispenses without downtime or recalibration. In addition to dimensionally stable they are chemically inert which allows our pump to work in a greater variety of chemicals. Accuracy & Precision Throughout the pumping cycle the inlet and outlet ports of the Valveless Metering Pump are never interconnect ensuring accurate fluid flow in one direction preventing any backflow (without check valves). As a result Mingrui Ceamic is held from microliters to the full flow range and output does not change more than ± 1% of set value. Inaccurate pumps can generate waste and incur extra costs. Looking for ideal Ceramic Fluid Dispensing Valve Manufacturer & supplier ? We have a wide selection at great prices to help you get creative. All the Zirconia Ceramic Sleeve Piston are quality guaranteed. 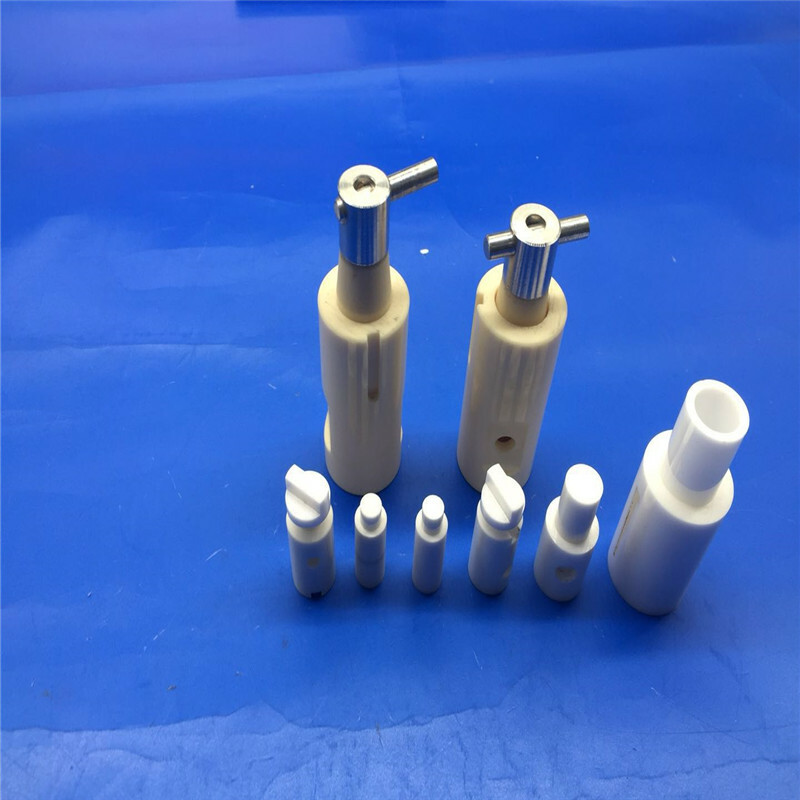 We are China Origin Factory of Zirconia Ceramic Piston Valve. If you have any question, please feel free to contact us.